At long last I have finished and published Children of Fall, the second book in the Planetfall trilogy. Phew, and Yay! In this blog, I’m going to take you behind the scenes of the novel. I’ll show you some of the process in building the story, writing the first draft, how early (constructive) criticism changed the novel between the first and final draft, and then explore the journey to creating the cover art. Children of Fall has taken ten years to write, and is the biggest and most complex book I’ve ever written. I first conceived the story in 2007, and realised by 2008 that I didn’t have the skill as a writer to bring to life the story in my head. It probably took me about 65,000 words of writing, scrapping material and re-writing to come to this conclusion. There also seemed to be a lot of back story to get the reader to a point of understanding the story I wanted to tell, which forced me to a logical conclusion: I needed to write another novel first, something simpler and more straightforward, to set the scene. 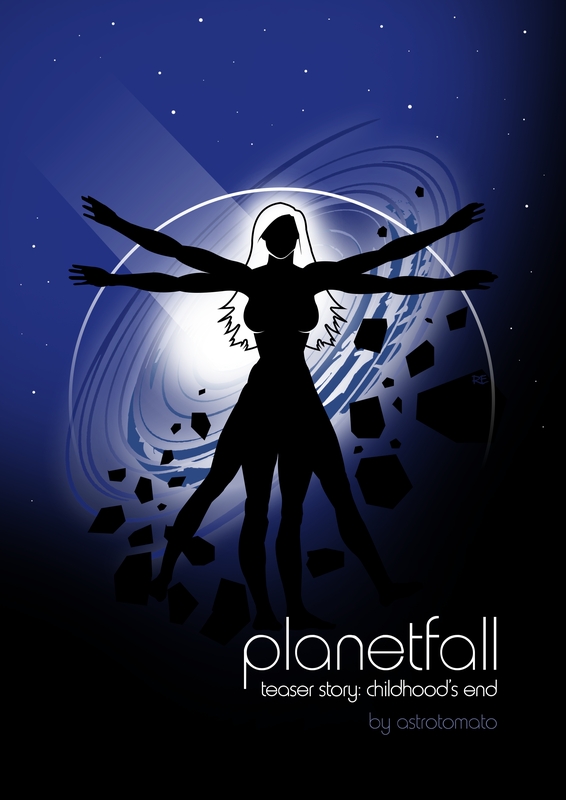 This became Planetfall book 1: All Fall Down. The starting point of Children of Fall (and the whole Planetfall series) was inspired by Quatermass and the Pit, an old science fiction film in which an astronaut returns to Earth, infected with alien DNA. I didn’t so much want to re-tell that story, as use it as a point to jump from: what if a soldier on the front line of a war became infected with alien DNA? How would that soldier be treated? What might that soldier become? Thoughts about DNA suggested a structure for the novel: there would be two stories, intertwined, like the double-helix of DNA. At points they would come close and at others they would spiral apart. This meant writing two separate stories, side by side, which occupied the same universe and the same overall narrative, but which had their own characters and viewpoints. After writing All Fall Down, a process which took 3 years, I tried to write Children of Fall again, and failed again. I was committed to the story structure – I could see it in my head – but I couldn’t make it happen on the page. The next book I wrote was Backpackers, a romantic fiction novel about young people backpacking through south east Asia. The structure of that novel is of a series of short stories, each based on a different character, but who all come into contact with the book’s protagonist, Cath Pearson. Each story comments in some way on that central character, so we see slices of her drama. This let me build my skills in writing from different characters’ points of view, letting a longer narrative play in and out of other stories, and getting it all to make sense. I was building my writing muscles: first, I had written a novel from start to finish in the universe I wanted, and then I had written a novel with a similar structure to the one I wanted to write. After those two novels were finished, I made my next attempt, and managed to write a decent amount of a first draft. But the story at that point was different to what it is now. I started with the former inhabitants of Fall being refugees, aboard their own starship, and committing piracy to stay alive. They wanted revenge on their former colony administrator, and kidnapped Kate Leland in the hope she would be their leader. Kate also started out at a different point in her life: an embattled war General, who steals an old ship to house the refugees and let them hide beyond military sensors. The other main character, Swan, had something closer to a hero’s journey. He even tracked down Daoud at one point, and tried to kill him. You won’t see anything of this in the new novel, and once you’ve read it, you’ll wonder how the finished story could even have included the above. With that first draft in hand, I put the draft novel to one side, intending to come back to it a month later. Events overtook me: the UK’s former Prime Minister Baroness Thatcher died, and a story idea came to me. I have written about that on this blog, suffice to say the month became somewhat longer, until another couple of years had gone by. 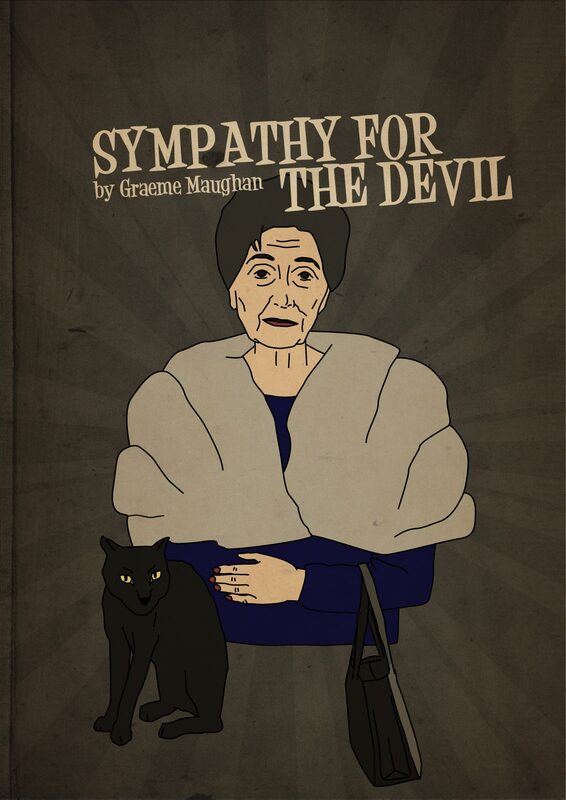 I released that new book, Sympathy for the Devil in 2015, and returned to Children of Fall. When I started to unpick Kate, and try to understand why this might be, the entire plot fell apart. This comment proved to be the single thread that causes a carefully knitted garment to unravel. Out went the ship stealing (too aggressive), out went the grand plan (too vague, obviously, but too organised as well – it took away the dramatic tension). Importantly, I took that comment on her having “less focus” [sic] and used it, completely re-imagining where Kate might be a dozen years after the first book. Kate is less focused from the start of the book now, but she is deliberately out of focus: even she doesn’t know who she is. Indeed our first view of her is as a hologram, unreal, made of light, gone at the flick of a switch. As the book goes on, and events unfold, a new Kate emerges and comes into focus. But even at the end, we don’t fully understand who she is. And neither does Kate. She’s someone who has lost touch with herself, who is running away, and who needs to make a decision: does she keep running, or does she commit to something bigger? I want to make the point, which I think is fairly clear, that early drafts of books need criticism, they need objective viewpoints to force us to think differently about our stories. No story, no novel, can be any good without feedback and criticism at different stages. 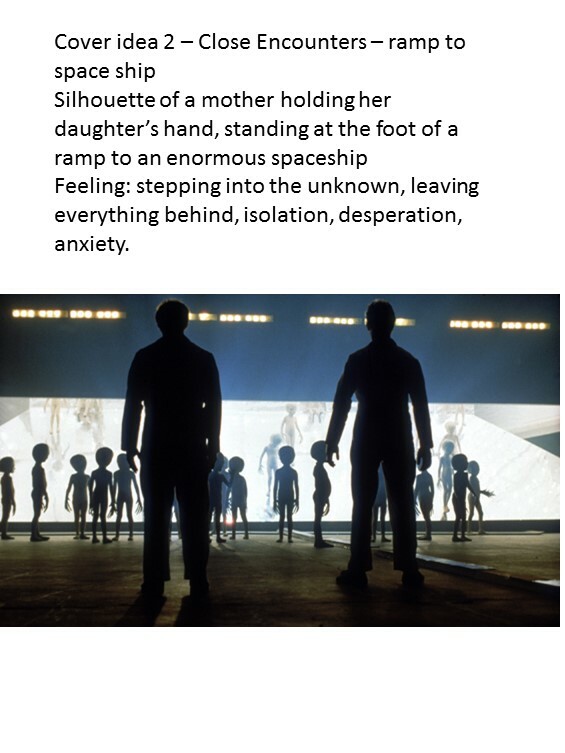 Having an idea about a soldier who becomes infected with alien DNA is all well and good, but how do we find the story around it? All Fall Down gave me the space to find the alien DNA: it was in place at the start of Children of Fall. The moment of infection I also had early on – without going into spoiler territory, I very much wanted a scene like one you would find in a superhero comic. But it also had to feel real and believable. I was helped in this by some feedback on an early chapter I took to my writing group. In the early draft, Swan invades a ship and comes face to face with the alien enemy. The aliens are described, and a battle ensues. At my writing group, I was given a throwaway suggestion: don’t ever let us see the aliens, so that they have more power. This led down two paths. The main alien enemies in the book are never seen. They’re referred to, and the most description we get is that one species is “lemur-like”. Beyond that, they’re ever-present, never seen, yet a constant threat. At the other end of the scale, I thought it would be good to bring back the aliens from All Fall Down. Ones so large, so gargantuan, that their sheer scale would induce numbness in the reader. Not horror, not awe, but something too big to be human, humanised or understandable. A numb, blank spot in the story, around which Swan spirals. The opening lines of the book are deliberately meant to reference this effect, where Swan talks about memory wipes, of feeling like his head is full of snow and ice, of feeling blank. It foreshadows what is to come, and also links us back to Kate in All Fall Down, when she wipes a key character’s memory. Dehumanisation is a key theme of the book. We find many of the characters losing their humanity and their empathy as the book progresses. Children are grown to become soldiers; not only is every character flawed, but many of them are actively trying to avoid humans or otherwise send them to their deaths. Marines are clad in organic battle suits, looking “monstrous”, like something that has “crawled out of a swamp”. I start the cover art process by throwing a lot of visual ideas at my cover artist. These will be images that I might have used as inspiration for certain scenes or characters, or that helped me with mood or feel or emotion. Below you can see some art work that covers space scenes, classic scifi UFO-type art work, some panels from Swamp Thing, and two book covers. Accompanying these visual ideas is a summary of the story, key themes in the book, character profiles and any particular scenes that help to bring the story or character to life. Rob, who produces the Planetfall covers, then works on an outline cover idea. This [below] was an early draft. At this point I give constructive feedback, which again takes the form of both written comments and visual ideas. Below are images I sent back along with my feedback on the cover art. The overall comment was that the cover needed more drama and more contrast. In the images above you can see some specific images connected with hairline (top-left). There are also images connected with the texture of the mutation creeping up Swan’s face (top-right and bottom-left: ‘Mutation’ by Tom Stewart). 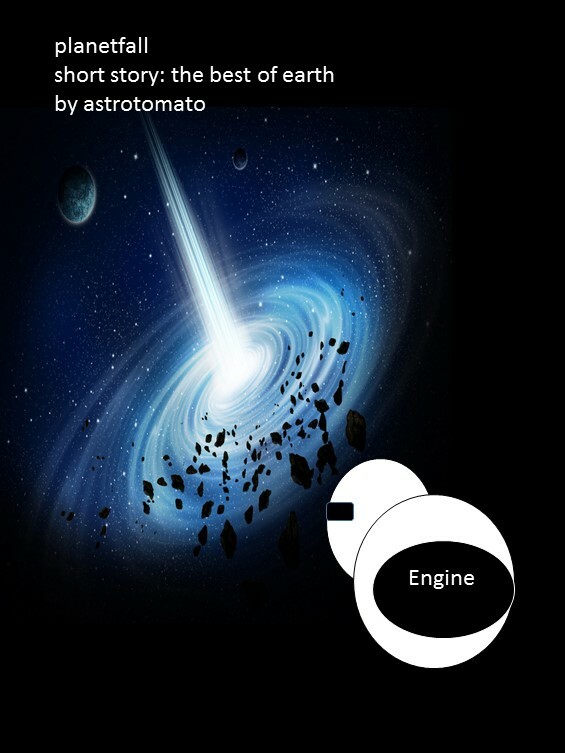 The top-middle image shows the draft cover angled over, with an exploding asteroid or sun in the bottom left-corner, a suggestion towards the need for more drama. 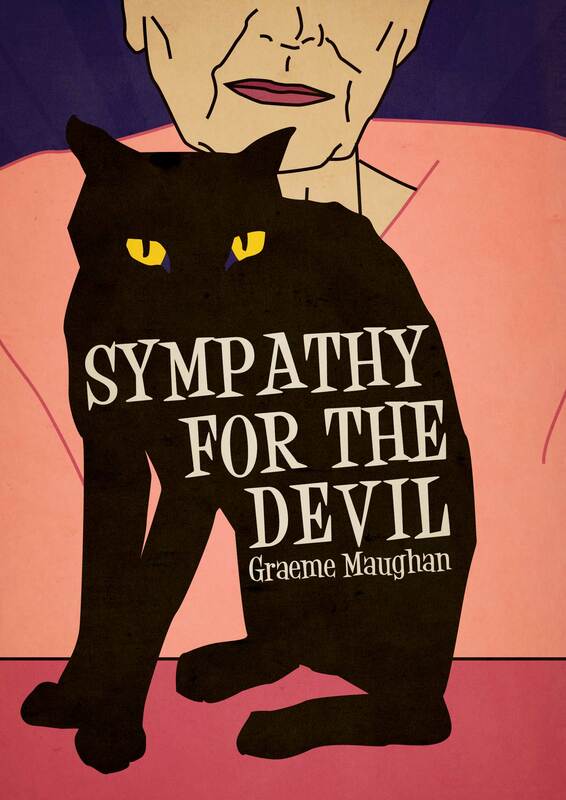 To celebrate the publication of my new novel Sympathy for the Devil I’m giving away two paperback copies. To enter this competition simply Like the book’s Facebook page. It’s that simple. In my guest blog for Lucy Hay on working with cover artists to get your self published book looking exciting and marketable, I talked about inspiring the artist and respecting their decisions. In this blog I want to expand on where I did that well, and where I did that less well. Fortunately I ended up with great pieces of art in both cases, because of the talent of the cover artists. The process of reaching the eventual cover is important, because (a) you might want to work with that designer again, (b) how you approach the artist will influence the quality of work you get back, and (c) if you have a dispute or need more draft work done than expected, you need to have invested in the artist in advance so that they’re more willing to be flexible. First, an example of where I approached the cover art commissioning process poorly. I think I only asked for one tweak to this image. 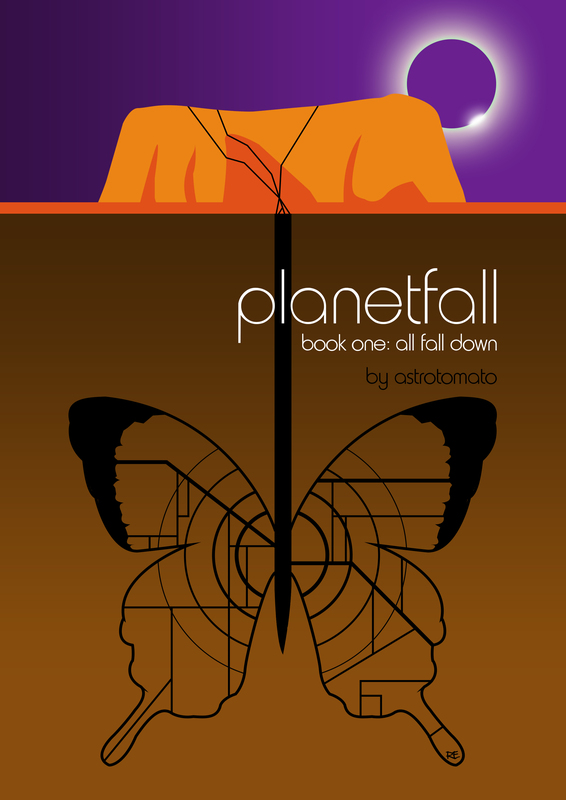 Rob did an amazing job of interpreting what Planetfall: All Fall Down was centred around, and my fondness for graphic design and the scifi art of the 1960s and 70s, and came up with something that will stand the test of time in artistic terms. When it came to the teaser story Childhood’s End, I had a pretty strong idea of what the cover “should” look like. And that’s the first and most fundamental mistake. Instead of following my own advice, I told Rob that I wanted the cover to be one of two things. Either silhouettes of a mother and daughter boarding a spaceship, or a ship heading towards a wormhole. I’ll take you through the Powerpoint file I sent him so we can see what was good and where it went bad. This is the first slide. This starts well. It simply sets out the inspiration for a key scene in the story, and helps set out a vision. The next slide is where I over-stepped the mark and turned into a dictator. I’ll show you why further down, but first I’ll continue sharing the Powerpoint slides to show how my mistake became compounded. Now Rob being Rob was very nice and came back to me saying he felt the ship front cover was the stronger image. And so he set to work. And this is was his first draft. This looks remarkably similar to the mock up I produced. And it’s not a strong enough image. And the reason for that? Because I dictated what I wanted it to look like. Rob did his best with a very narrow and overly-specified commission. Fortunately we worked together to re-imagine this and work towards the eventual cover, which combines elements of the two ideas. And while the outcome is great, I know that for the cover to the next Planetfall book (“Children of Fall”) I’ll be stepping back and letting Rob design something from scratch. I will share some imagery that’s inspired me, and give him access to the book and key scenes, and that’s where I’ll stop, because that leads to a more productive and happy relationship. Suffice to say I learned from the mistakes I made on Childhood’s End, and went back to my original approach of simply inspiring the artist for Sympathy for the Devil. Bodil Juline had an artistic style (which you can see here) which I felt really captured the tone of Sympathy – comic book, with elements of design and fun. 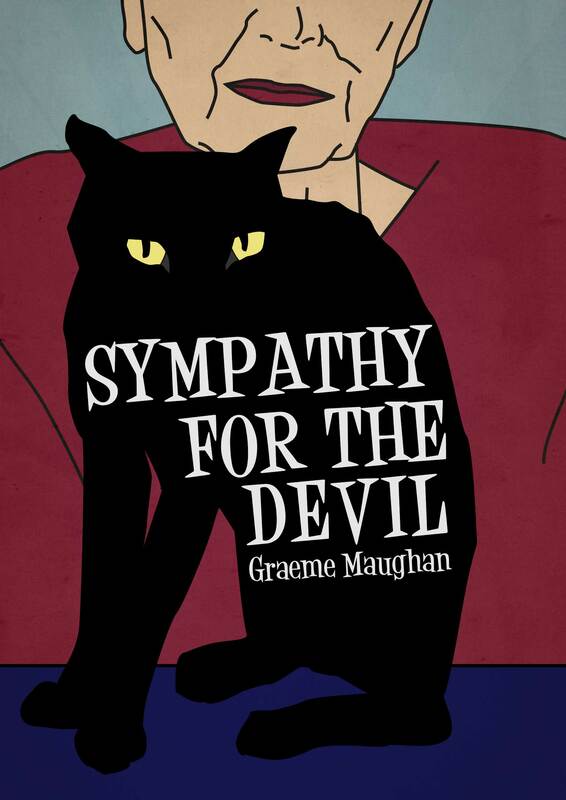 For me, Sympathy for the Devil is a cartoon caper. It’s a little old lady being chased around London by demons and Margaret Thatcher. It has a serious message in it but it’s also utterly ridiculous, and I wanted that feeling of comic book fun to translate into the cover. Let me take you through the imagery I shared with Bodil to help inspire her, and then the drafts she came back with and the feedback I gave. 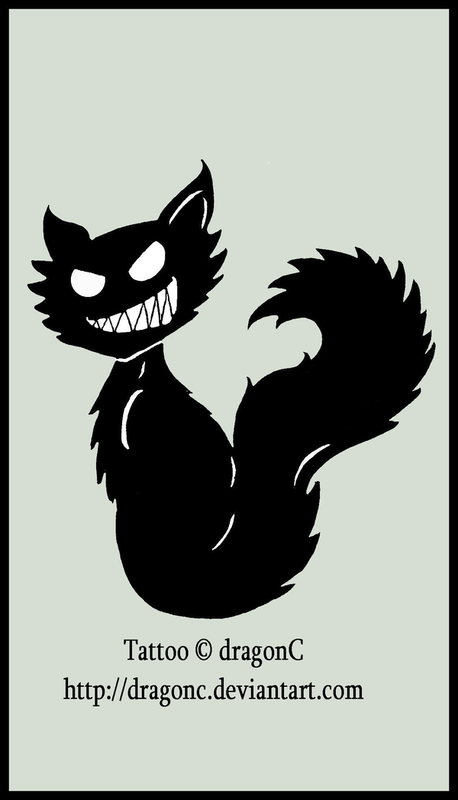 These were images for Sam the cat, to get a sense of his black evilness and his cartoon villainy. 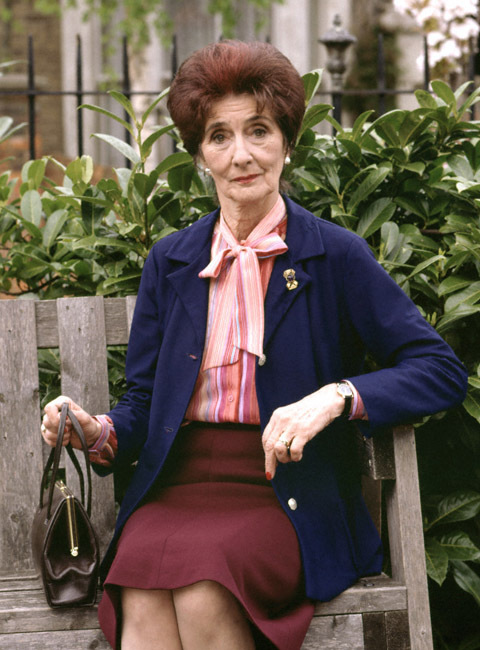 Lucy was always modelled a little bit on Dot Cotton from Eastenders, but I also wanted Lucy to be a little bit like Holly Golightly from Breakfast at Tiffany’s, as if she’d just grown old but never really changed. 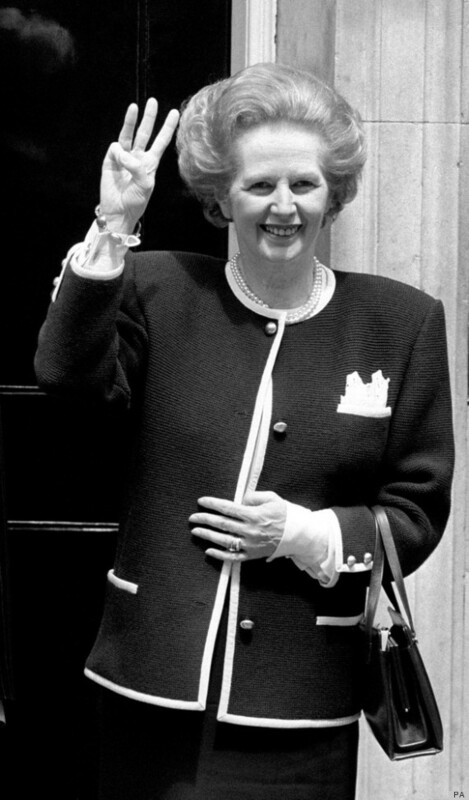 Here we have a picture of Margaret Thatcher, a major presence and character in the book – and whose styling Lucy emulates. And two pieces of art. 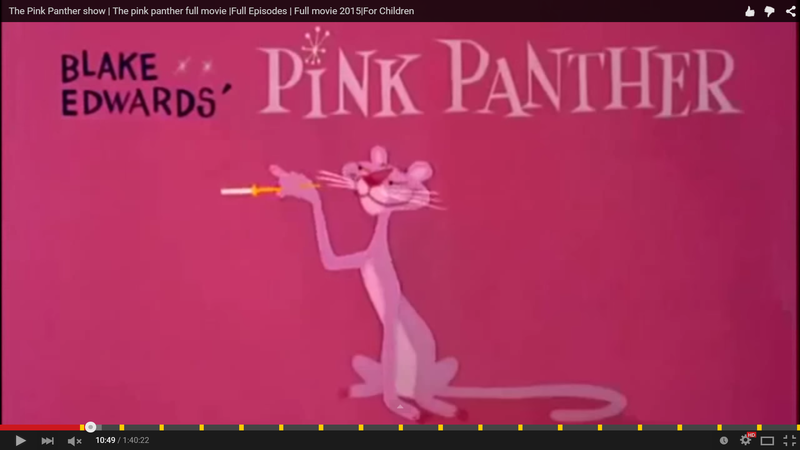 First a Roy Lichtenstein for the pop-art element, and finally the 1960s cartoon styling in the Pink Panther advert. 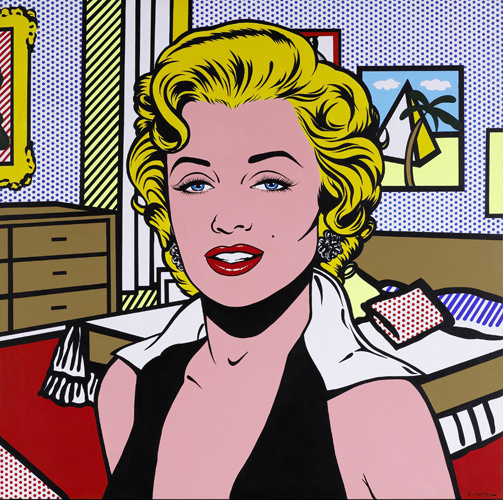 Note the elements similar to Holly Golightly – the cigarette holder and the upper class style. The big issue here is that I didn’t give any comments about what the cover should look like. 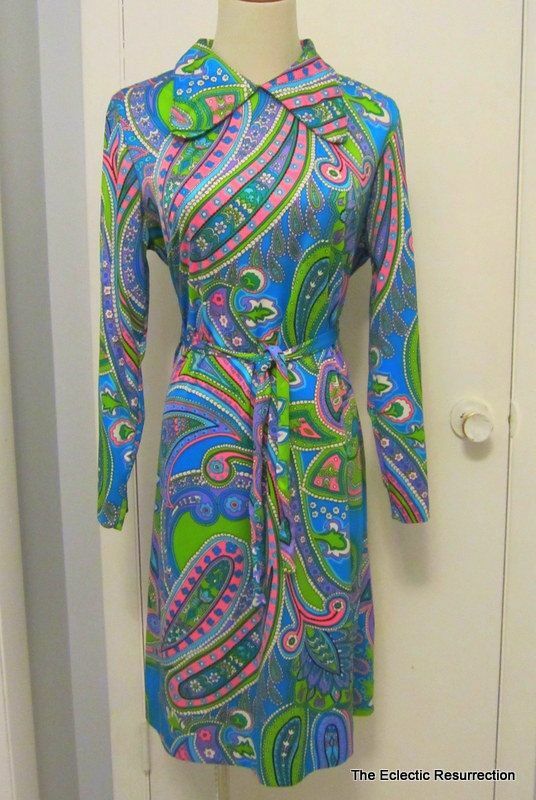 I simply shared the images I’d used, and the styles I liked. Note the colour variations and the stronger use of Sam the cat, whose eyes draw you in. We talked about the background and foreground colours, and went with this as the next draft. Here Lucy has lost her fur, because the artist felt it didn’t look right, so I went with her decision. This is almost finished. I shared this image with a friend who works in graphic design, who gave me two pieces of technical feedback. In the final image you’ll see that the font is slightly smaller, and Lucy has an enigmatic Mona Lisa smile. Lucy’s upper face is missing, so we don’t have her eyes to work out what that enigmatic smile means. 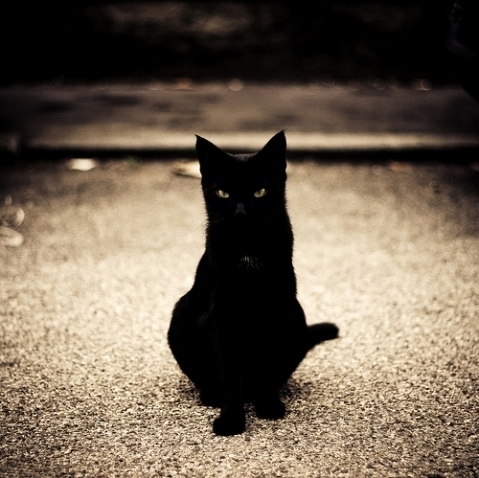 But we do have Sam’s eyes – and in the novel Sam is her familiar. So what we see on the front cover is now a clue to the book and Lucy’s character. Margaret Thatcher has come back from the dead, and this time she’s got a challenger. Get ready for a fight for the Mother of All Parliaments. And her opponent? 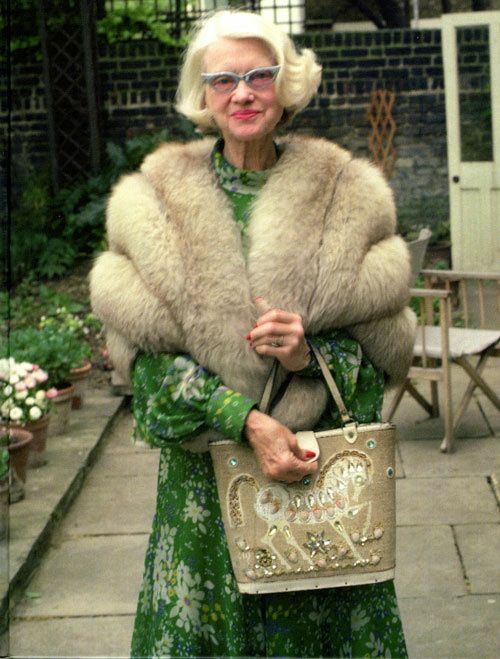 68-year old Lucy is Margaret Thacher’s personal maid. When the former Prime Minister dies, Lucy suddenly finds herself with nothing to do and only a meagre pension to live on. But soon she’s thrust into a world of politics between a moribund Left Wing and a resurgent Far Right Wing. She must battle dragons, rent boys, dead clowns, symbols of a mythical pure England, and worst of all – ambitious politicians. In the end, Lucy has to ask herself: will she save Britain from its own corrupt politicians? And will you want her to win? Sympathy for the Devil is in equal parts comedy, fantastical tale of demons and rollicking action-adventure. The main character is a little old lady, Lucy, who is aided and abetted by her talking cat, Sam. Together they negotiate the perils of retirement while desperately trying not to face up to the truth: that Lucy, old, knackered, wrinkly, a drug addict and in desperate need of a nice sit down and a cup of tea, might just be the Antichrist. 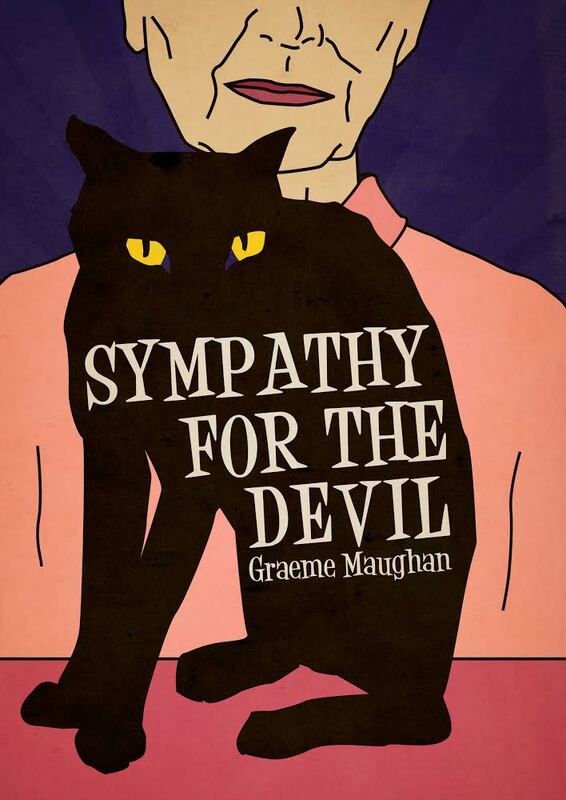 Sympathy for the Devil will be available for pre-order on Kindle from 17 August, and released in paperback on 10 September. Tune in for more details about how to get your copy! Finishing the first draft of a book is difficult. Doing it while trying to write a marketing plan for another book raises the stakes. Doing those while holding down a full time job puts it all in peril. And doing all of that while selling, buying and moving house and becoming a first-time father puts us in high stakes drama mode. So here I am – Planetfall 2 draft finished, a marketing plan for Sympathy for the Devil in development, bedrooms full of unpacked boxes and a 2 week old daughter in my arms. One of the first lessons we learn as authors is that we have to make space for writing. We all do that differently. Some of us grab the spaces between other things and scribble like mad. Some of us eschew television or social engagements. Some of us rise early and dedicate an hour or so before our ‘normal’ day begins. And some of us may give ourselves two hours every Saturday and Sunday alone in a cafe to catch up on our writing. Whatever our approach, we do it because it’s important. Writing needs space, it needs dedication, and it needs its own time free from other distractions. That lesson is even more important when a baby comes along. Babies don’t care about our approach to grabbing time for writing. Those two hours we normally have? Gone in bringing up baby’s wind. The social engagements we eschewed are no longer an option while we catch up with just 20 minutes of writing in-between changing nappies, putting the washing on, tidying up the kitchen and cooking a meal. I finished the first draft of PF2 in early June, amid a rush of writing as moving and birth date approached. I was really pleased with the first draft. It was structured and planned in much more detail than previous books, which meant when I came to write, I could rattle off a 5000-word chapter in a couple of days. The first draft has already been to a beta-reader, and I now have an extensive list of re-writes. The most significant re-write will be around returning lead character Kate Leland, whose character I haven’t quite nailed. Returning characters are a little more difficult to get right, I think. I last wrote Kate in 2011, and in-between wrote Backpackers and Sympathy for the Devil. PF2 is also set 12 years later, and there needs to be clear character progression between the two books. Kate needs to ‘feel like’ Kate from All Fall Down, and she also needs to feel like she’s matured, and changed in response to her personal history. A returning reader should be able to tell they’re back with her and also recognise and ‘allow’ her to be and feel slightly different. I’ve just completed my own read through of the first draft. The second half of the book I’m very happy with. The first half, or at least Kate’s first four chapters are going to be completely scrapped so that I can get her storyline and character right. There’s also work to do in bringing out the other returning characters who are only present in light brush-strokes at the moment (Djembe, Daoud). And there are character relationship issues between new characters (Swan, Stendahl) which need strengthening and made deeper. Children of Fall was originally slated for a Christmas 2015 release. I think this is now looking unlikely. Even if I get a second draft written by October, I’ll still need to go through a 3rd and 4th draft and then let the book rest for a month or two before I can contemplate a final draft. Perhaps May 2016 would be more realistic? 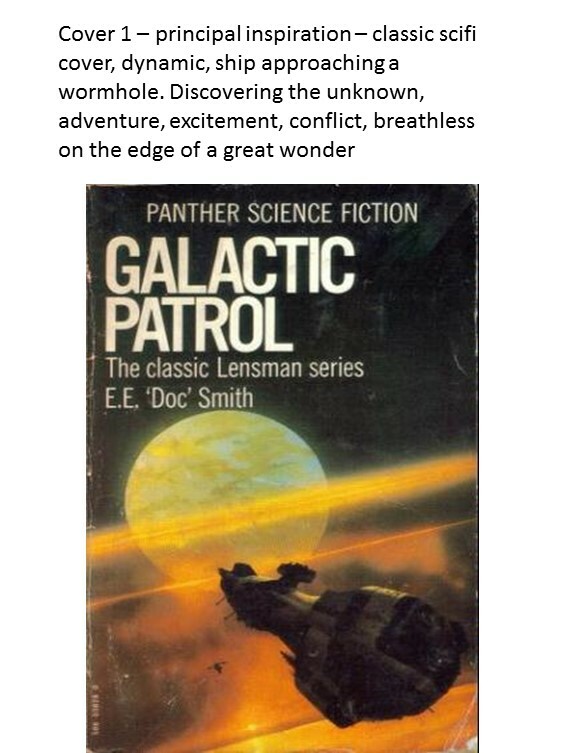 By the way, I maintain a Facebook page for Planetfall, on which I also share news about science fictions films, books and other media. 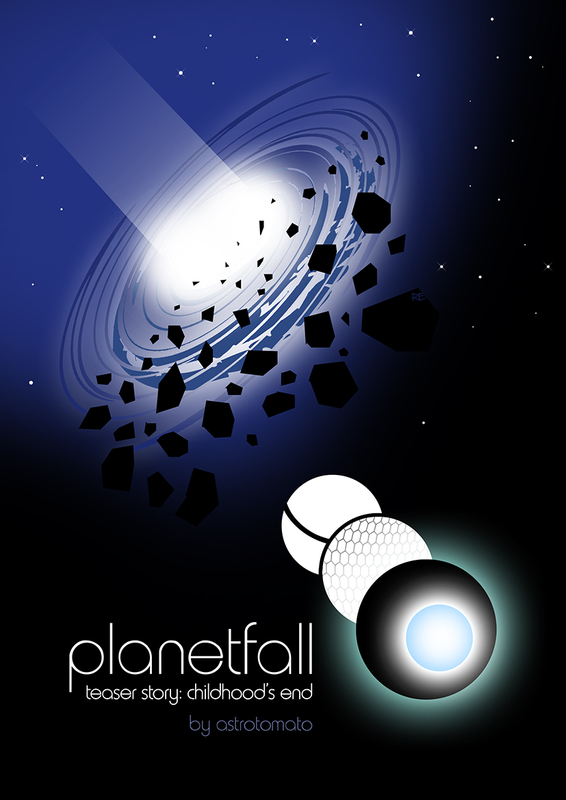 Please Like it for updates: https://www.facebook.com/planetfalltrilogy – when Sympathy and the next PF book are published, there’ll be exclusive competitions on the page. To fill the release schedule left empty by Planetfall 2, I’ve got Sympathy for the Devil almost ready for publication. I was disappointed not to find representation for this book. Based on feedback from agents I know the quality of the book is at the right level for ‘formal’ publication. Unfortunately the book is satire, and the agents who sent personal responses (as opposed to template responses) said that publishing houses rarely pick up satire. This means it’s not worth their while putting effort into representation. Their time is money, and if there’s very little chance of publication, their time is wasted. I understand this, we all need an income. I’m also disappointed – it would be nice to have the book’s quality validated by industry recognition. Onwards and upwards though! I’ve been extremely fortunate in working with a talented artist and now have cover art for the book. The design ethic is a departure from my previous book covers (Planetfall is a deliberate mix of scifi art and graphic design, Backpackers was self-designed with help on the lettering from Whitefire Designs), and I’ll be revealing some of the artwork on here in the next few weeks. In the meantime, I’m waiting to get my new home wired up for broadband before I start any significant work on marketing the book. Before that I’m writing a proper marketing plan. This is a first for me – previously I’ve used marketing plan templates and taken bits and bobs from them as tips. This time I’m raising my game and putting together a proper action plan. Once it’s prepared I’ll share it for other writers to crib. That’s all for now. I hope you’re writing is going well. Drop me a line here on Twitter @astrotomato if you want to chat about any #amwriting issues.